When did you launch your business Wonderstruck Magic Mirror and what were you doing before? I launched my Magic Mirror business at the start of the year. After I graduated Bournemouth University with a Television Production Degree in 2012 I went on to work as a video producer for heat magazine and Kiss FM. It was great meeting so many celebrities! I've been working with cameras since 2009! Since I've started Wonderstruck it has been incredibly busy and I didn't expect how many enquiries and bookings I would get in such a short space of time. My advice would be, hire a Magic Mirror photo booth! When I first saw the Magic Mirror I couldn't wait to get involved in the business because it is far superior to other standard booths. The Magic Mirror takes quality pictures, you can sign your images and add emojis. All this creates fun unique images. Being able to send these images to peoples phones and emails straight from the mirror is awesome too! I also really try and make each event special. Our custom animations are all unique and the feedback we get is always great! It really puts a smile on my face! 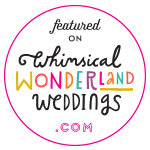 At Wonderstruck we also provide a custom printed guest book, multiple prints, awesome props, and the whole design of the mirror is a part of the wedding rather than being tucked into the corner! If you could have anyone come and take their pictures in your booth, who would it be and why? This may sound a bit cheesy but I would pick Anatol Josepho. He built the first enclosed photo booth in 1925. If he could see how far photo booths have come since then he would be amazed! I love to meet new people and see them smile! Running my Wonderstruck Magic Mirror business is great because I can really make an event special and see people having fun at the same time! Being part of a Wedding is always a special honour because your a part of the happy couples special day! When you're not creating fun experiences for your clients, what do you like to do in your free time? I love to play tennis, and really enjoy going to the cinema! I'm also a member of Diabetes UK and often help out on the events they have around the country.